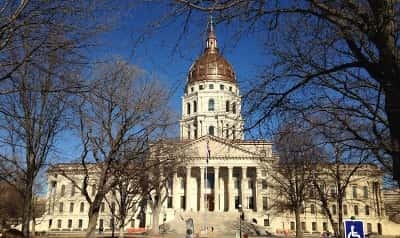 Republican lawmakers are strongly criticizing a proposal from Democratic Governor Laura Kelly to reduce the state’s annual payments to Kansas’ public pension system. The plan is a key part of the budget proposals Kelly outlined Thursday for legislators. Kelly wants to increase spending on public schools, expand the state’s Medicaid program and boost spending on services and social workers to help troubled families. GOP lawmakers said the governor’s plan would not only put off closing the gap but increase its overall long-term costs. Top Republicans also said the governor’s speech did not make them rethink their opposition to the expansion of Medicaid. In a response to the governor’s State of the State Address, Senate president Susan Wagle of Wichita said the state has seen a rebound in revenues with a budget surplus, but the governor’s budget would squander the state’s fiscal recovery with a massive spending increase that would require another major tax hike. Wagle said the Republican majority in the Senate is ready to work with the governor on a budget, but not at the expense of Kansas families. She said she will work with the Senate to pay off debts to the pension system and spend responsibly without raising taxes. Wagle said the Senate also wants to pass a bill that would allow Kansans to take full advantage of the Trump administration’s tax cut. She said people should be able to deduct interest on their mortgages, property taxes and health care expenses.